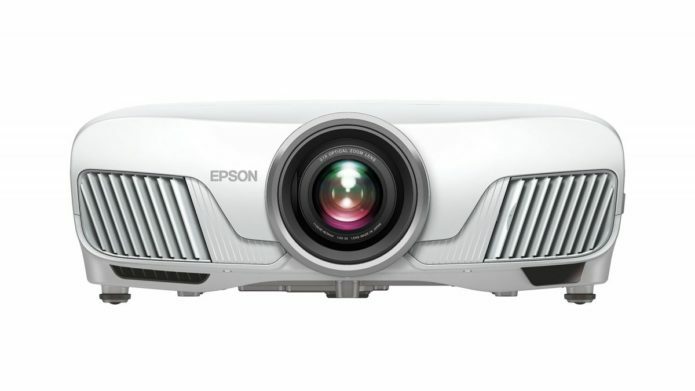 Let’s clear something up: Despite the 4010 (as it’s known in the U.S.) and EH-TW7400 (for the rest of the world) being in Epson’s PRO-UHD line-up, it’s not actually a native 4K projector. That may a bit disappointing if you’re looking to upgrade from a full HD projector, but the only brands currently selling projectors with native 4K pixel counts for regular-ish folk are Sony and JVC. That means you’ll largely be comparing faux-4K projectors like the Epson 4010 to the likes of the BenQ HT2550 or TK800, and Optoma UHD60.